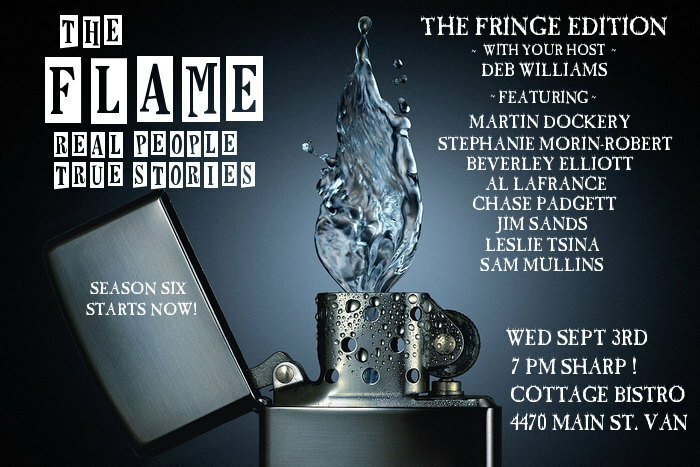 I just found out that I’m going to be performing at Vancouver’s storytelling show, The Flame, as part of a special all-Fringe night. Come and watch me tell a story. ← Vancouver Fringe tickets on sale now!